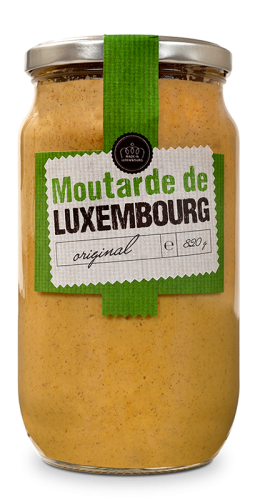 Whether “forte”, “original” or “à l’ancienne”, our Luxembourg mustard offers unique flavours thanks to authentic know-how and the best ingredients. 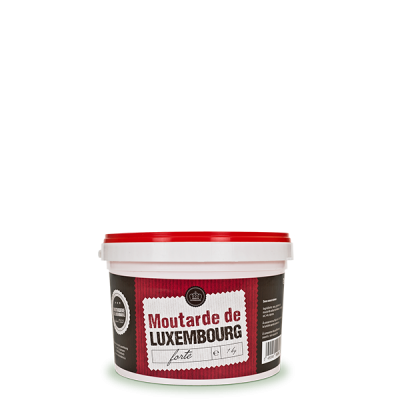 Discover our 3 Luxembourg mustard recipes that are 100% natural, preservative-free and ground by stone grinders. 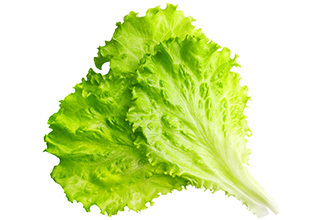 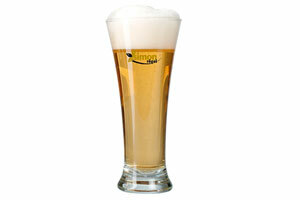 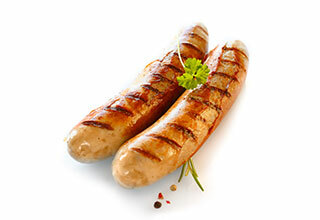 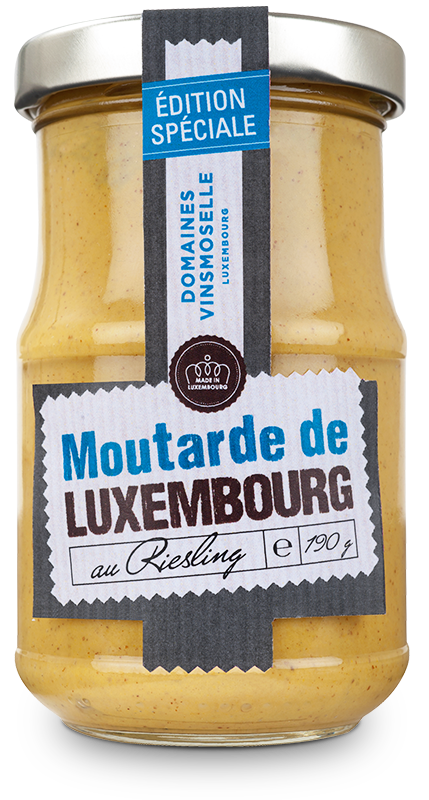 For all tastes, for all occasions, Luxembourg mustard is an accompaniment for all your meals. 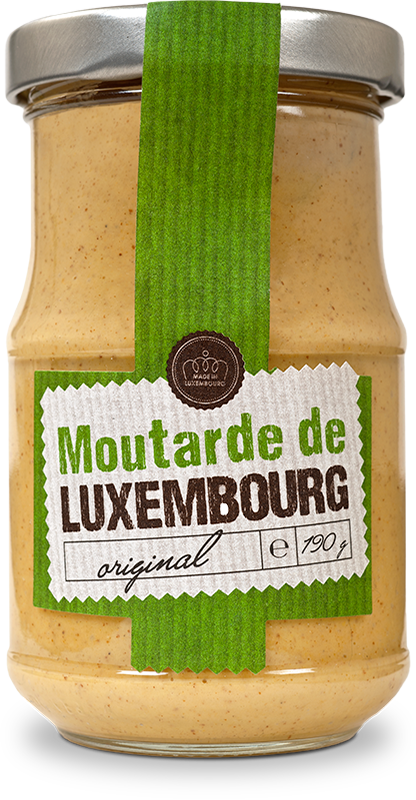 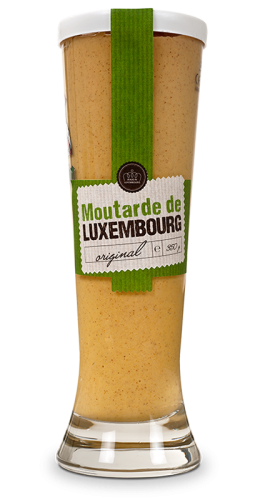 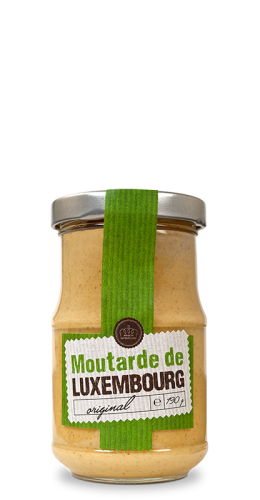 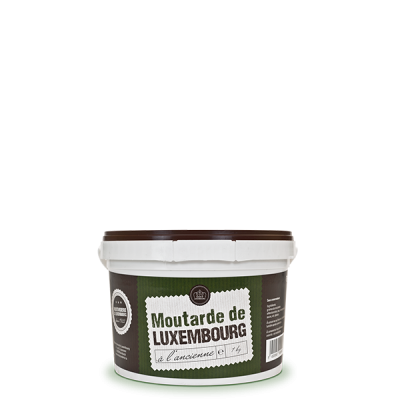 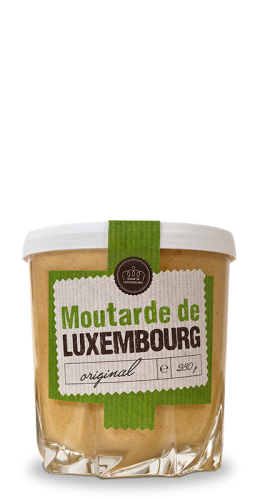 “Original” Luxembourg mustard, with its mild and subtle flavours, is perfect for all your dishes, sauces and salad dressings. 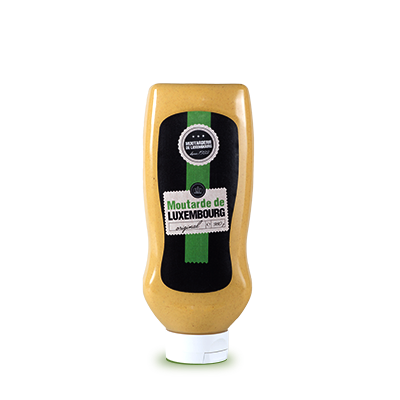 “Original” mustard is available in 24 different formats to ensure you can use it every day exactly how you need to, whether you are a member of the public or a professional. 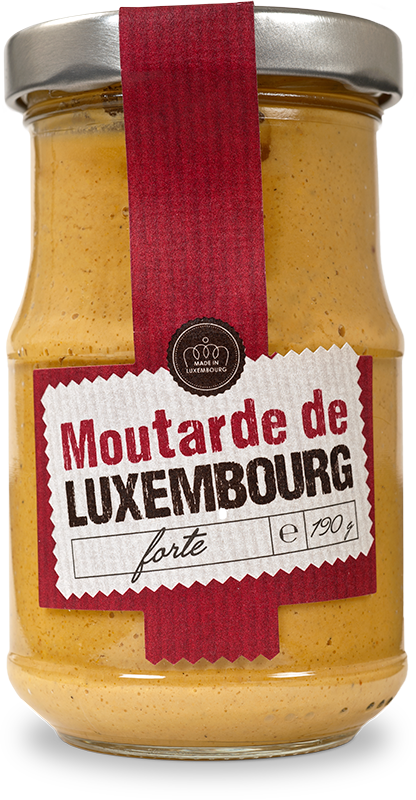 “Forte” Luxembourg mustard, with dark and spicy grains of mustard, provides all your recipes and your sauces with a special character. 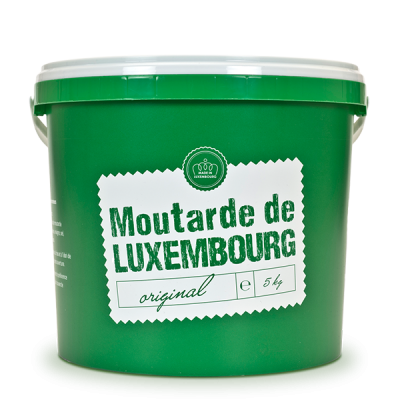 In 190g jars or in 1 to 5kg pails, all the formats available offer you unlimited possibilities of use as well as optimum storage conditions. 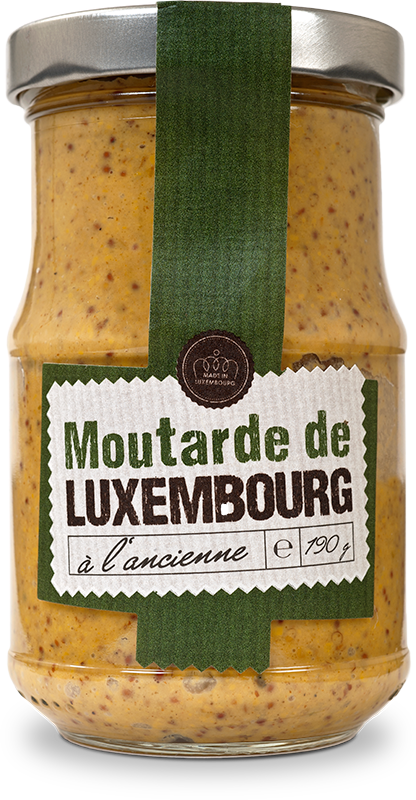 “À l’ancienne” Luxembourg mustard, with unbroken mustard grains and fine spices, gives a strong personality and originality to all your dishes. 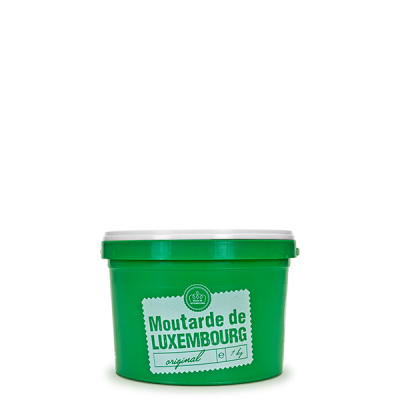 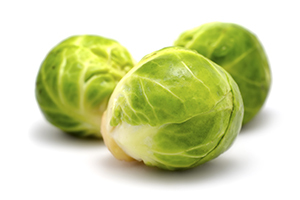 Whether a member of the public or a professional, you will be able to find the ideal format for your use from the 4 types available, ranging from 190g to 1kg. 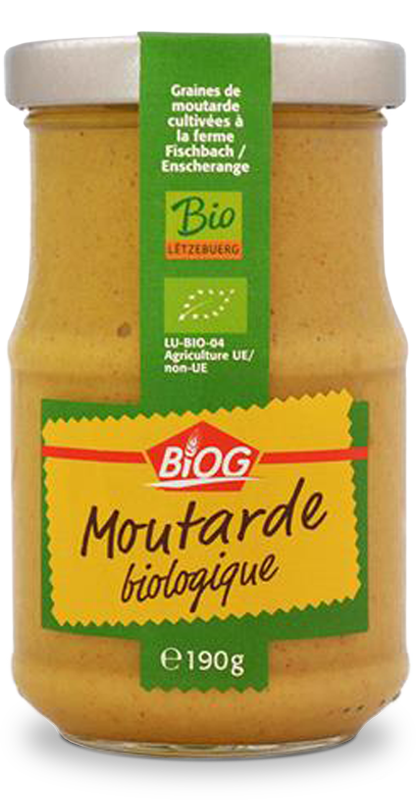 Our BIO-mustard is marketed under the BIOG label and is disponible in 190g jars or 500g squeeze bottles. 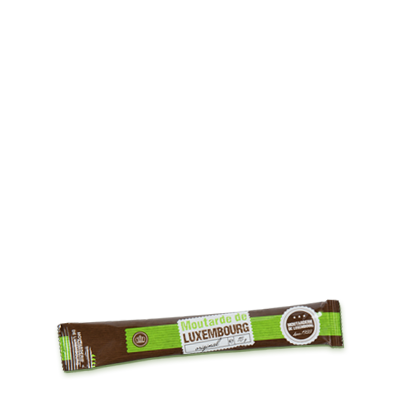 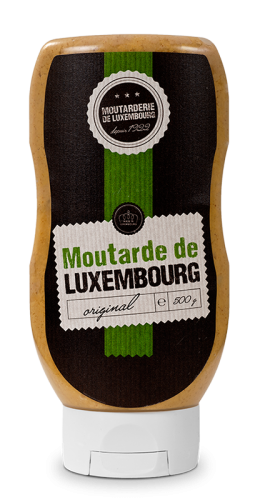 The BIO mustard seeds come from Luxemburg. 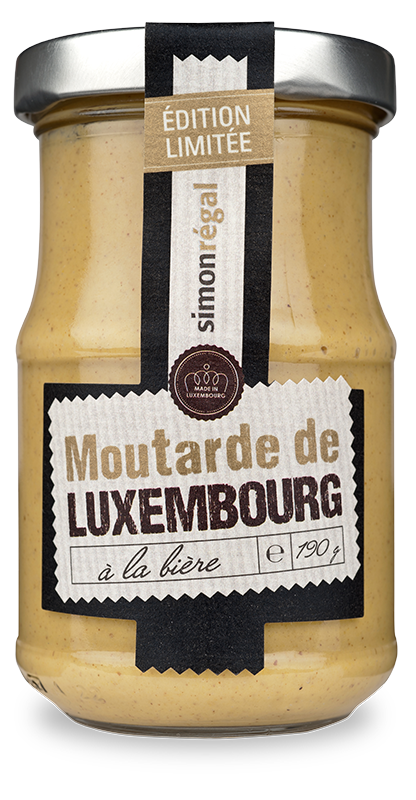 When the very best beer and the very best mustard come together in one dish! 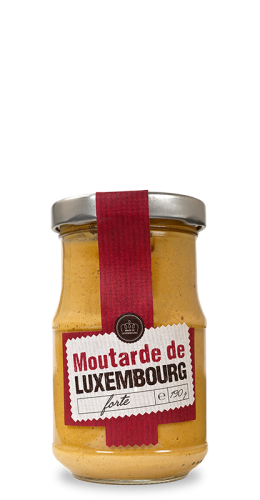 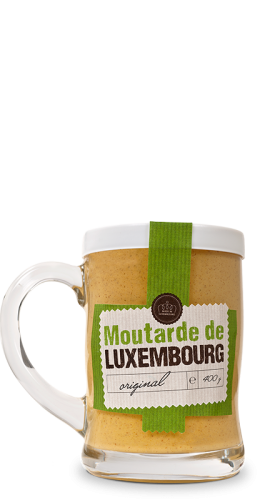 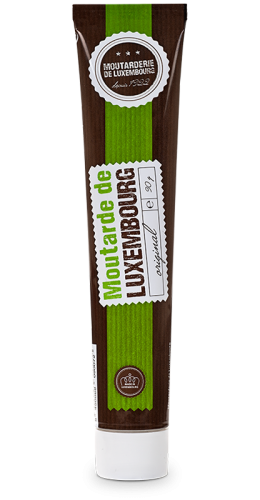 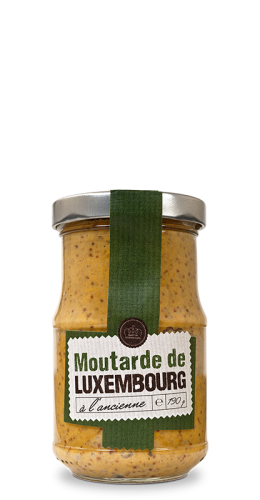 This exceptional 100 % Luxembourg mustard should be lingered over. 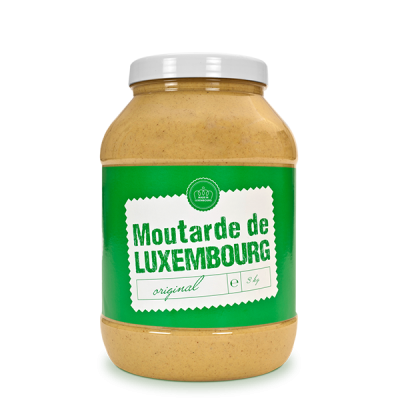 You can now get Luxembourg know-how concentrated in a jar! 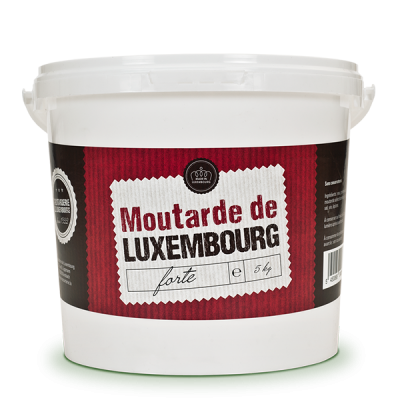 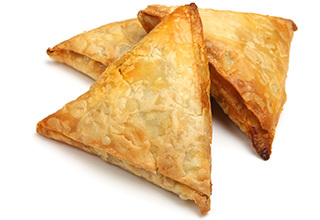 All our professional formats are designed to facilitate transport, storage and use, whilst preserving the unique flavours of our products.